While the United States was engrossed in the ongoing presidential election Nov. 8, major movements were made in the Syrian conflict halfway around the world. The city of Aleppo may finally be getting some peace from the Syrian civil war, according to new reports from the ground in the embattled city. "Regime ground forces have been deployed to front posts on edges of eastern #Aleppo, the attack seems as though it's starting," tweeted war journalist Rami Jarrah on Tuesday. 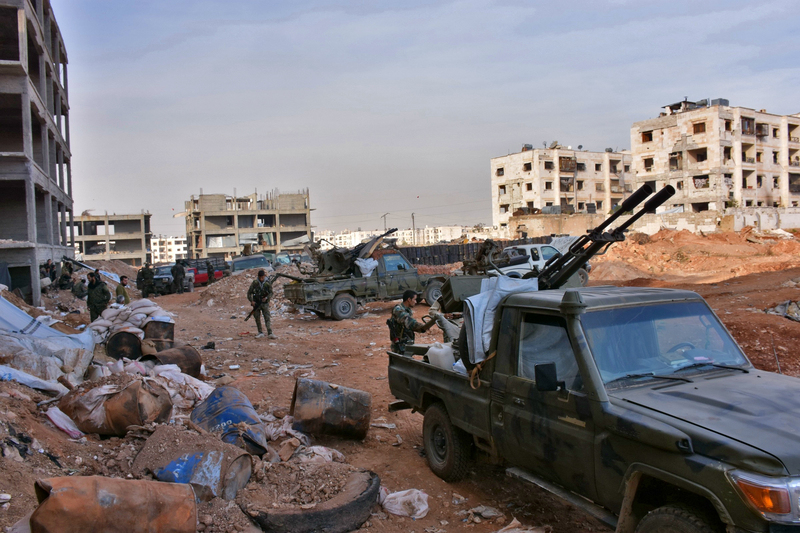 The government-supported Syrian regime is fighting against rebel forces working for a freer democracy in the country. Anti-government protests began in 2011 when 15 children were arrested for allegedly painting subversive graffiti in the city of Daraa. Syrian president Bashar al-Assad is supported by Russia and Iran, but opposed by the United States. However, while the U.S. condemns al-Assad's dictatorial regime, the country also condemns the violence perpetrated by the Syrian rebels and is hoping for a peaceful negotiation towards a more democratic society for Syria in the future. That lasting political still seems a long way away though, as the rebel forces are losing territory and the government regime seems closer to militarily defeating the rebellion. While the deployment of regime ground forces may not be the peace many are hoping for in Aleppo, an end to the fighting could give the beleaguered city a chance to heal after years of onslaught. Aleppo has been the center of the ongoing human rights crisis in Syria, where Syrian non-combatants are almost constantly under attack by foreign military forces for the past two years. A moratorium on air strikes has been in place since Oct. 18, and Russia has vowed to extend the ceasefire on their end as well. Yet in many regards, it comes a little too late — the death toll in Syria since the start of the civil war of 2011 currently stands around 450,000, including 50,000 children, according to the organization I Am Syria. In the meantime, the election that caught everyone's attention was a nail biter. Several states were essentially the deciding factors in choosing the next president, including Florida, Ohio, and North Carolina. While the final results may not be decided until Nov. 9, or even later in the event of a contested election, this news from Syria should remind people to keep in mind ongoing foreign affairs that will be the purview of the next U.S. president.